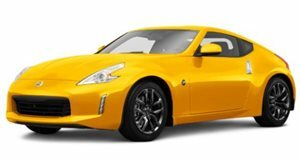 If that’s the movie that convinced you to go out and buy one of your own 350z's to mimic the Drift King’s aggressive but collected driving style, then maybe it’s time to take a deep dive into AutoTrader UK for the real thing. That’s because this modified 2002 Nissan 350Z is none other than the actual 350Z that DK used in Tokyo Drift. To be fair, there’s believed to be two 350Zs used for the movie, but this is the only one that was built by famed tuning company Veilside and features all the works including the APS twin-turbo setup that boosts this 3.5-liter V6 to the high heavens. With only 11,000 miles on the clock, it’s hardly been used outside of the movie studio. And that’s a shame. Considering that the Veilside Version 3 body kit widens the 350Z and gives its front end a more purposeful look and is only the first on the list of visual modifications—which also include a carbon hood, rear spoiler, engine cover, and mirror caps along with a fixed rear axle (this car isn’t meant to go sideways in a conventional manner)—this 350Z is aching for more time in the spotlight. Unfortunately for those in the US, this car keeps its steering wheel on the right side, meaning American buyers will have to undergo the same learning curve that Sean did in Tokyo Drift and learn how to maneuver the vehicle like an expert even with the controls flipped...if you have £99,950 ($133,147) to buy it that is.